Eliminate all smells, stains, and general dinginess with this DIY deep-clean routine for your area and accent rugs. For many of us, area rugs are a significant investment in decor. They warm up and add color to our rooms. They provide soft places for game playing, movie watching, and slumber partying. But in order for rugs to last for years, they need to be maintained. And a big part of that maintenance is regular cleaning. 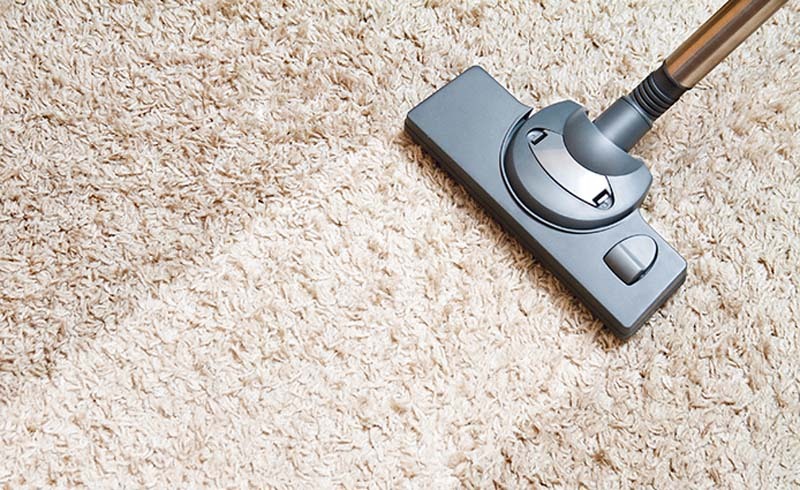 Fortunately, while you want to vacuum carpet twice weekly, you only need to deep-clean an area rug when it’s dirty. If the rug isn’t visibly dingy (or noticeably foul-smelling), try this test: Simply pick up a corner of the rug and let it flop down onto the floor. If a little cloud of dust floats up, a cleaning is in order. Sure, you can send out a rug to be cleaned off-site by professionals—but it ain’t cheap. If you’re willing to put in a weekend of work, however, it’s eminently possible to do a good job of cleaning a rug on your own at home. As an added benefit, you’ll have peace of mind knowing exactly what types of cleaners are being used on your rugs—knowledge that’s increasingly important to many, especially those with young children or chemical sensitivities. Read on for a full tutorial on how to clean an area rug the DIY way. Remove loose dirt with a vacuum. First, thoroughly vacuum the area rug on both sides. Don’t neglect the back, which inevitably accumulates crumbs, dust, and dirt. Test the cleaner on your rug for colorfastness. You can follow the mixing instructions on a store-bought rug cleaner/shampoo. Or, you can add a couple of capfuls of mild liquid dish soap to a bucket of warm water. Do not use hot water, as it may shrink fibers or fade color. Now, test your cleaner (store-bought or homemade) on an inconspicuous part of the rug, such as a small part on the very corner, to make sure that it doesn’t make the colors run. If it doesn’t, proceed to the next step. Work the cleaner into the rug and let it sit for several minutes. 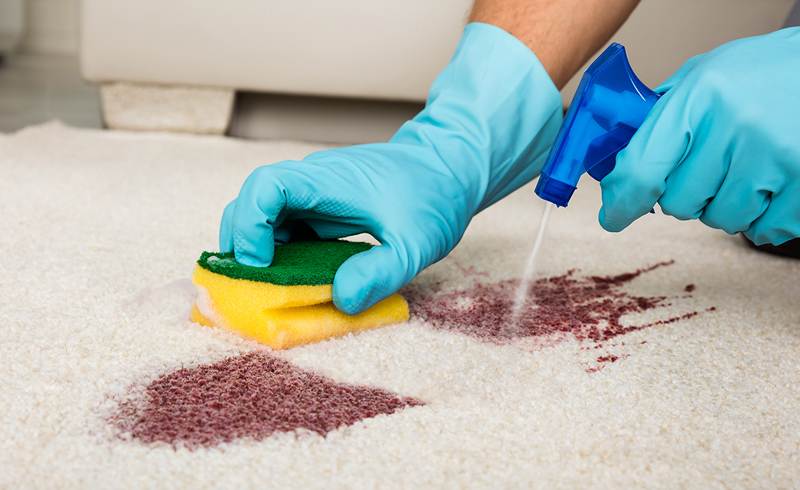 Using a sponge or brush, scrub the shampoo or detergent deep into the rug until you’re seeing suds. Allow the solution to sit on the rug and work for several minutes before rinsing. Thoroughly rinse the rug with a garden hose, making sure the water is clear of soap suds before you finish. Use a squeegee to remove excess water. This tool, often used in cleaning windows, will do just the trick to squeeze excess water out of the rug. Press the squeegee’s rubber-edged blade firmly into the rug and pull to get out as much liquid as you can, being careful to work only in the direction of the rug’s nap. Allow both sides of the rug to dry out completely. Lay the rug flat to dry. Once the top side is dry, flip it over so the bottom can dry as well. Vacuum or brush the rug to loosen compacted fibers. Run a vacuum or a clean soft-bristled brush over your area rug to loosen up the fibers of the rug, as they may have compacted during the washing/drying process. Then, return your rug to the room and enjoy!